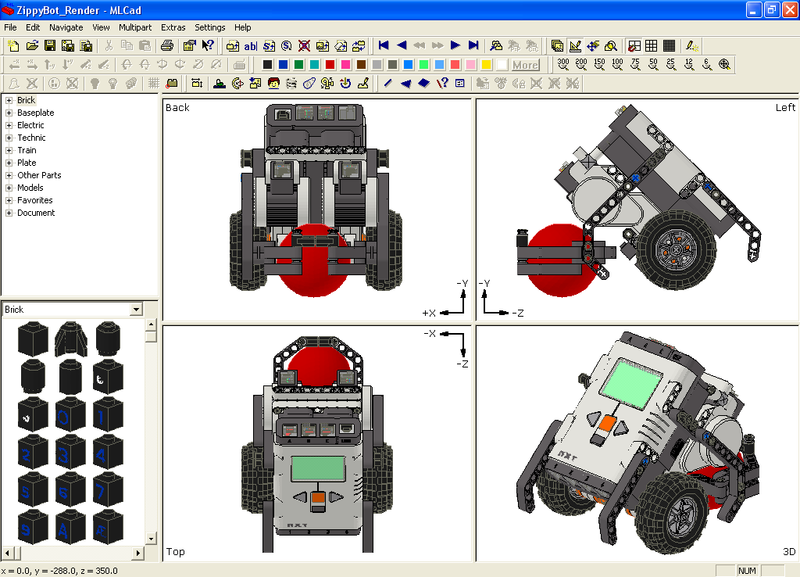 Through some helpful reader feedback and advice from Philo, I’ve updated my tutorial for setting up the LDraw system to create virtual NXT robots. Click here to check out the revised post. Comments welcome! Let me know how to make this even easier or if you’d like to see instructions for setting up additional features. 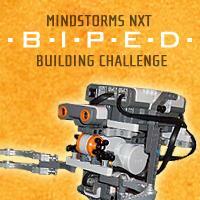 Biped Building Challenge: Ideas, Anyone? The official MINDSTORMS NXT Biped Building challenge, which was launched earlier this month, is asking NXT fans to create two-legged walkers—among the most difficult robots to build. 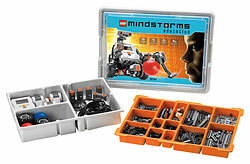 Fortunately, the MINDSTORMS website lists some sample bipeds on NXTLOG to give inspiration to the community. 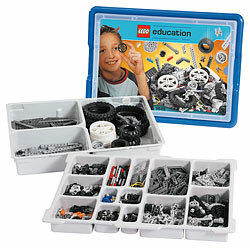 However, a simple video can be very effective when it comes to giving inspiration. Following is a video made by YouTube user Laurens200: it demonstrates one of his NXT biped creations. This robot implements one of several possible methods for creating an NXT biped–and it’s quite amusing to watch! OPTICKS is capable of rotating an embedded camera on both a vertical and horizontal axis, making it possible to take detailed panoramic 360 photos, including a sky-view. OPTICKS can be triggered automatically (motion, sound, light) or manually (touch). 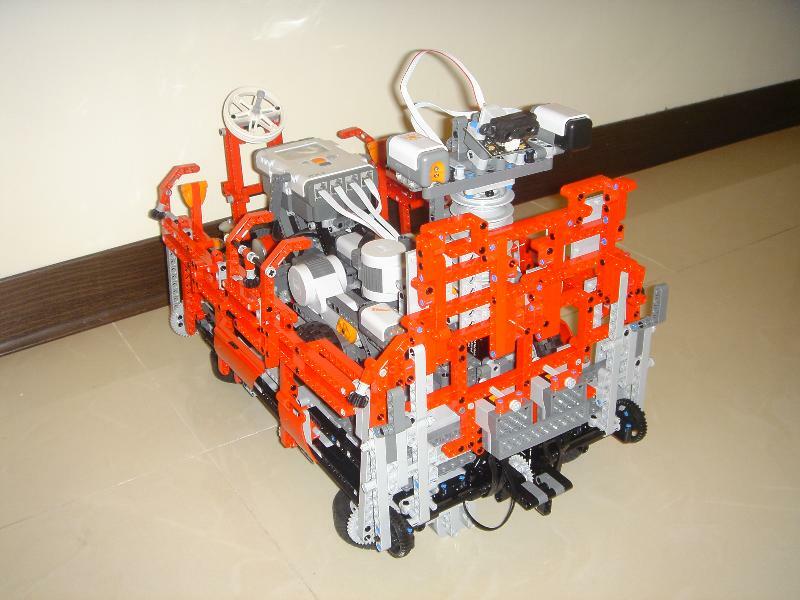 This robot is equipped with three motors (A, B, C), four sensors (Light , Sound, Touch, and Ultrasonic), a single NXT brick and one digital photo camera. For an innovative concept, design, construction, and programming we award the OPTICKS the Champion’s Award. Click here to find out the rest of the results for the contest! On the MINDSTORMS website, the NXTLOG team “froze” submissions of robots at 4999 and then proceeded to determine a robot “that best demonstrates the true LEGO MINDSTORMS NXT creative spirit.” That 5000th robot is now chosen: Mars Explorer Mk1 by user mezzauk (see below). Click here to see the robot, and click here for a full list of winners: second place, third place, and honorable mention.